Mercedes' Samuel Jackson runs the ball during practice Thursday, August 9, 2018, in Mercedes. The Tigers lost 16 senior starters from the 2017 team. MERCEDES — The Mercedes Tigers figured they’d be pretty good last season. The only question was just how good they would be. Mercedes brought back eight senior starters on offense, eight more seniors on defense, and finished 9-3. A perfectly fine year, but 2018 will be a season of maturation in several ways. 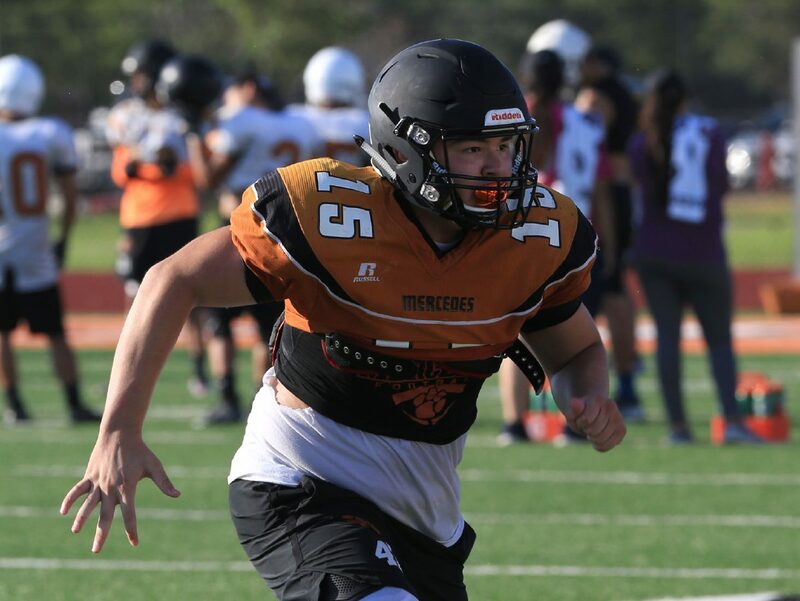 The Tigers lost a starting quarterback, three of their top four wide receivers, the district’s Offensive Lineman of the Year, two additional first-team all-district linemen, and their top five tacklers from a season ago. 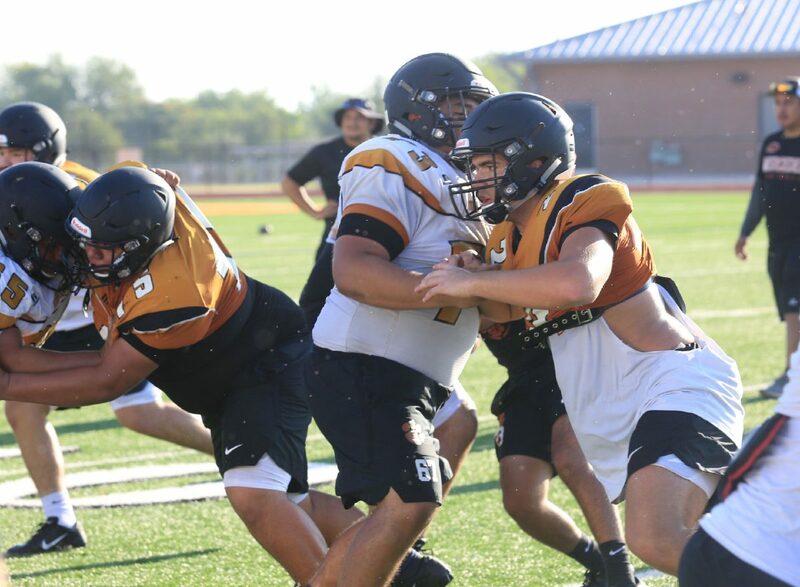 Making matters worse, those five tacklers do not include linebacker Roger Adame III, another graduated senior who was The Monitor’s All-Area Defensive Player of the Year following an outstanding junior season. Mercedes' Christopher Hogan, right, tries to get around the offense during practice Thursday, August 9, 2018, in Mercedes. 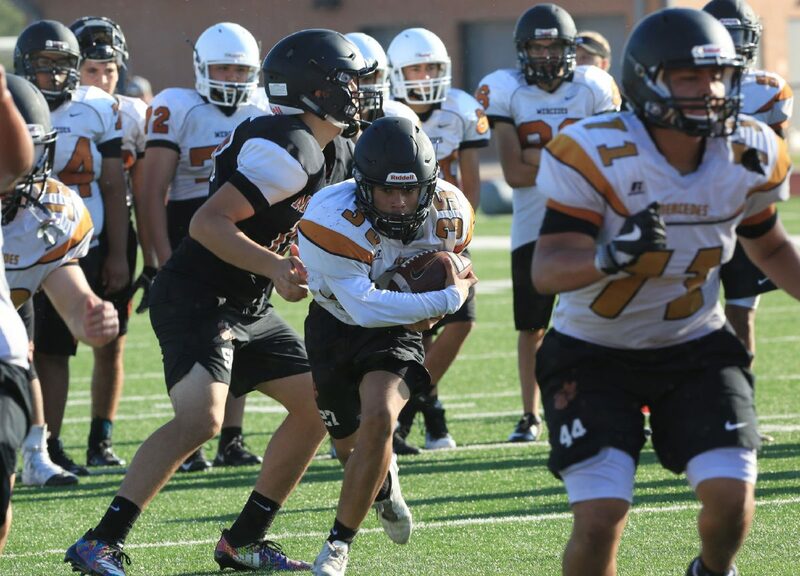 Mercedes' Jay Ayala during practice Thursday, August 9, 2018, in Mercedes. 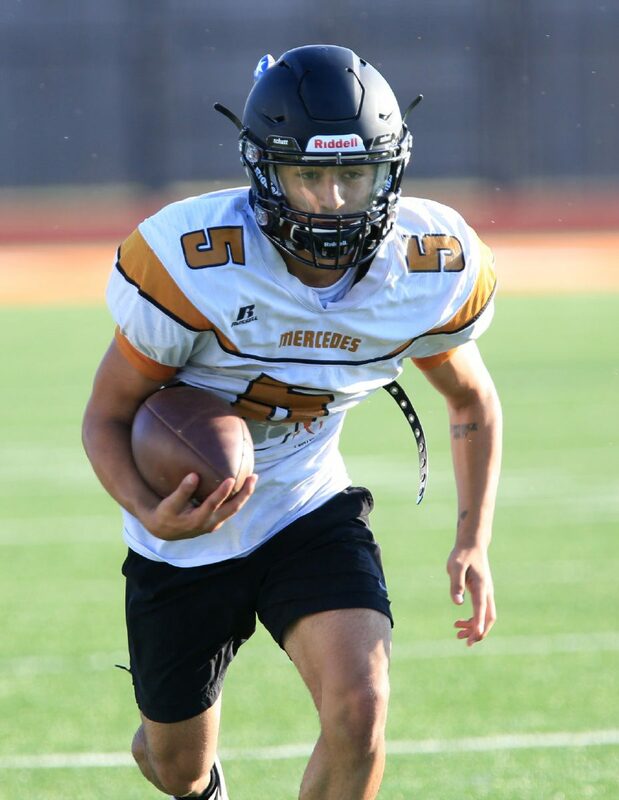 Mercedes' Sonny Vela during practice Thursday, August 9, 2018, in Mercedes.